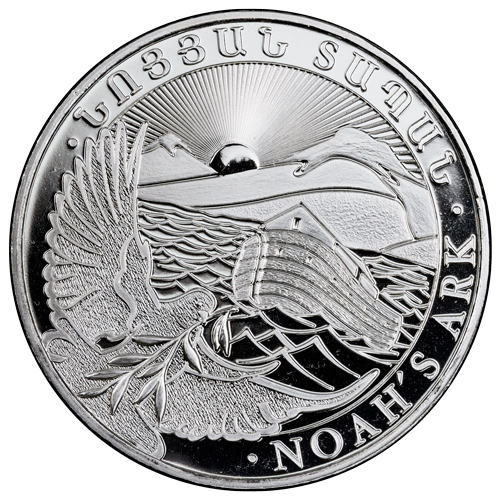 The coins, designed by Armenian artist, Eduard Kurghinyan, commemorate Noah’s Ark, which came to rest on the Mountains of Ararat after the Great Flood, according to Genesis 8:4 in the Bible and the Torah. 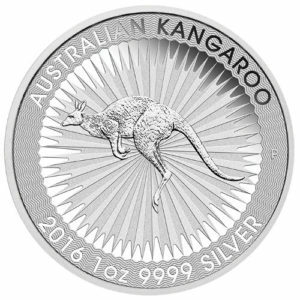 Each denomination of the coin is composed of .999 fine silver. 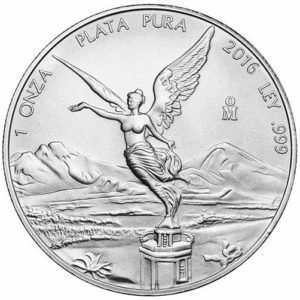 Depicted on the obverse of the coins is the Armenian coat of arms, with the value (as “ԴՐԱՄ·DRAM”), the year of minting, the coin’s silver purity, and the number of troy ounces of silver that make up the coin. 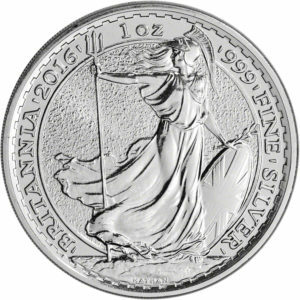 Surrounding all this is the state title of Armenia (Armenian: ՀԱՅԱՍՏԱՆԻ ՀԱՆՐԱՊԵՏՈՒԹՅԱՆ; English: REPUBLIC OF ARMENIA). 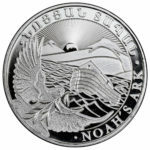 On the reverse was a rendition of Noah’s Ark and a dove holding an olive branch, with Mount Ararat in the background. Circling this image is an inscription in Armenian reading, “ՆՈՅՅԱՆ ՏԱՊԱՆ”, and one in English reading, “NOAH’S ARK”. Please note that the years may be a mix of 2017 and 2018. 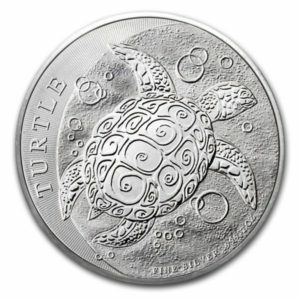 Please ask specifically if you require a 2018 coin.